Clifton Pest Management – Helping to protect your home, your investment and your family. 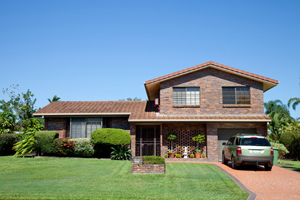 We understand the importance of protecting your family and your home from pests. Having these unwanted guests in your home can cause a number of issues including aggravating allergies and asthma as well as potential property damage. At Clifton Pest Management we offer a range of professional and reliable pest management services to help manage any kind of pest problem you have. and other general residential pest control services. Honest advice on all types of residential pest management that you can trust. Our pest management programs are tailored to each customer’s individual requirements – not all pests respond to the same treatment and not all treatments suit all properties. If we discover live activity in your home during an inspection we will recommend a suitable treatment option. There are a number of factors we consider when recommending these solution. These factors include the severity of the attack, the building style and the access available to the affected area. Prevention plans and recommendations can also be provided where no live activity has been detected. We are aware of the environmental impact of using harsh chemicals, particularly in a home environment, so where possible we use environmentally friendly products. Safeguard your family from all types of pests – call us today for an obligation free pest control & pest management quote!